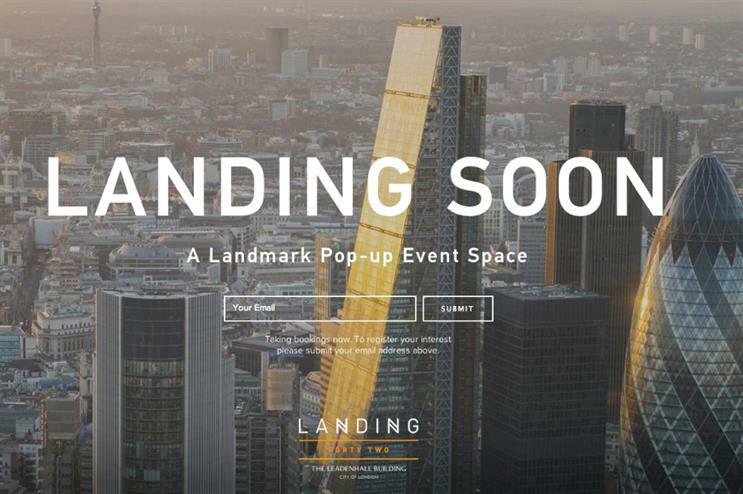 Level 42 of London's Leadenhall Building, which is set to become the capital's highest dedicated event space, has been named Landing Forty Two. The parties involved arrived at the name via focus group presentations of four possible names, along with brand executions attended by 40 staff from a series of London-based agencies. The venue, which is operated by events agency Xcite, is set to officially open for business in September. It will host events including corporate parties, conferences and product launches. Simon Tracey, managing director of Xcite, told Event: "This new project is the culmination of a number of bespoke events we have delivered for the landlords and new tenants in this landmark new building and we look forward to expanding the offering to the wider London corporate market when we open in a few weeks' time. "We have already secured more than 30 bookings and interest in the new event space for autumn and Christmas events remains very high."